With the weather heating up, I'm always looking for fresh and easy salads to make. 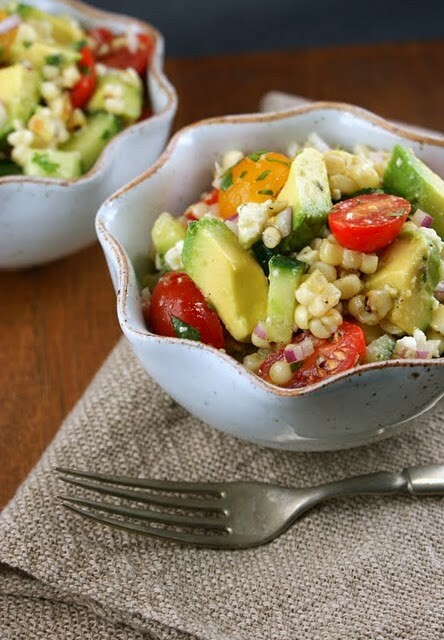 I love avocados and corn, so I think we have a winner with this one. Aren't the colors gorgeous? Yum! Add all of the above ingredients in a small glass jar with a lid. Shake really well. Taste and adjust seasoning as you desire. Bon Appetit and Happy Weekend!